Óbuda, the III. district of Budapest, played an important role in Budapest’s history from the Roman Era till the modern days. This city part was united with Buda and Pest in 1873 to form today’s Budapest. Although at first Óbuda seems to be a plain residential area with high rise blocks erected in the communist regime, the centre has numerous sights and a lovely, quaint atmosphere that make it worth exploring. For history lovers the neighbourhood is a treasure trove of well-preserved remains from the Roman period to Baroque bourgeois mansions. Take M3, blue metro, get off at Árpád híd station, from there take tram 1. The popular youth meeting, the Sziget Festival takes place here in the district, on the Hajógyári Island every summer. TIP: There’s also an Advent Festival with craft market, ice rink, concerts, food and drinks on Main Square and Szentlélek Square over the weeks before Christmas. The area of today’s Óbuda was inhabited in as early as the stone age. The Romans formed the capital of their Pannonia province – bordered by the river Danube – Aquincum. 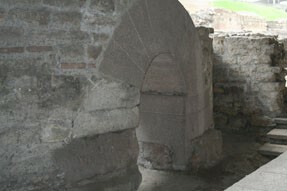 Aquincum means “abundant in water” indicating that the Romans discovered and appreciated the area’s most important natural treasure the thermal springs. Aquincum was a military base and a Roman legion of 6000 soldiers stationed there in the 89 AD. 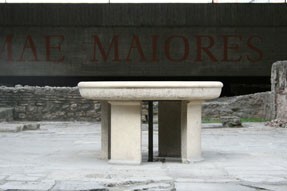 You can see remains of the bath used by the legionaries, tucked under the flyover at Árpád Bridge on Flórián Square. The name of the museum, Thermae Maiores (meaning large bath) was found on a stone relief. The remains were discovered in the 18th century. Layout plans with English comments show the original structure of the bath. Although the the traffic noise and the modern concrete buildings rising in the neighbouring area made it difficult for me to imagine how the bath functioned this hidden museum still gives you an impression about the Romans way of living 2000 years ago. Open: 1st April – 31st October, Tue-Sun: 10.00-18.00, closed on Mondays. Admission is free. The amphitheatre of the military camp is in Nagyszombati utca. The fine mosaics that adored a once lavish, 12-room villa illustrate a famous part from the Hercules myth, when a centaur abducts Hercules’s wife. This mosaic was taken to the Aquincum museum but you can see several other beautiful mosaics at the site of the villa. family discount: 50 % discount on the ticket prices of 2 adults accompanying 2 children (closely related), children get 50 % discount tickets. guided tour in foreign languages 6 000 HUF for a group under 25, 8 000 for a group above 25 (prices are for the whole group). With a City Card you get 50% discount on the admission fee. The card entitles the owner to free use of public transport within Budapest, discounts on sightseeing tours, museum entrance fees, thermal bath tickets. 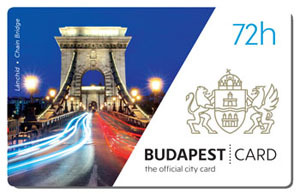 You’ll find more details and can buy the Budapest card online here. A large town had grown around the garrison and in 107 AD Emperor Trajan broke Pannonia into two parts, creating the civilian town of Aquincum. Two amphitheaters, several villas, central heating, baths, sanctuaries provided everything for the inhabitants of the town. The outdoor site contains ruins of courtyards, baths, a market place, shrines, large columns, sculptures and a stone sarcophagi. In the small museum jewels, glassware, metal tools, wall paintings are on display together with scenes reviving the lives of ancient Romans living in Aquincum. Once shouts of fighting gladiators and the suffering of the Christians thrown as prey to the roaring wild animals filled the air in Aquincum, today the the traffic noise from the busy Szentendre main road reminds you of 21st -century Óbuda. The events of the Aquincum Summer Festival (mid-May-mid-Sept, mainly on weekends) however take you back in time trying to reconstructing the everyday lives of the Romans. Take a rest on a bench on this secluded square and you feel as if you’d travelled back to the 17. – 18. centuries. Only a few locals going on their everyday business might interrupt your contemplation. You can almost hear the clatter of hooves on the cobble-stoned plaza. Óbuda’s main square managed to preserve its peaceful charm throughout the turbulent centuries of Budapest’s history. Main roads that played important role in the city’s life intersected the square since the Roman times. The Turks destroyed most of the medieval buildings during their 150-year reign. The town hall was built in the 18th century followed by other town mansions around the square. The architectural highlight is the Zichy Castle erected in the middle of the 18th century. The castle was never finished according to the original plans and it undergone many alterations but the main wing reflects its original splendour. Address: Fő tér (Main Square) 1. The exhibition consisting of 20, 000 items depicts the life and works of Lajos Kassák (1887-1967), famous representative of Hungarian avantgarde. Address: Fő tér (Main Square) 1-4. Rich collection introduces local history. Hungary’s only toy museum will be a thrill to kids and their parent alike. The Zsigmond Kun Flat Museum has a unique collection of folk art furniture. Hundreds of works by the Hungarian born painter can be seen along with temporary exhibitions of other Hungarian artists. At the end of Lajos Street, in an old medieval house the Budapest Gallery awaits you with contemporary artworks. 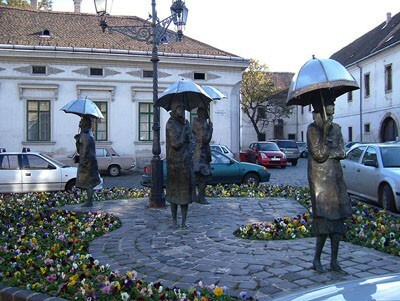 At Szentlélek tér an engrossing group of sculptures by Imre Varga, the Women with Umbrella makes you stop for a while and admire the artwork which became a symbol of Obuda. More works of the talented contemporary sculptor can be seen in the Imre Varga Collection at 7., Laktanya utca, Óbuda (Open: Tue-Sun: 10.00-18.00). A former Trinitarian monastery gives home to the Kiscelli Museum. Admission: adults: 800 HUF, students (ages: 6-26), pensioners: 400 HUF, family ticket (2 adults + 2 children): 1 500 HUF, FREE for children under 6, people with disabilities + one accompanying person, senior citizens from 70 years of age, 20% discount with Budapest card. 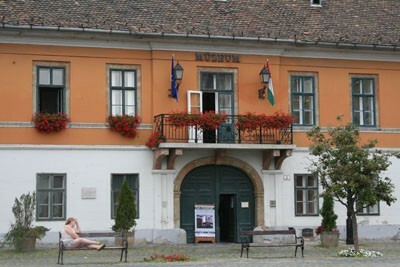 A unique museum of Hungarian gastronomy, catering and trade. Apart from exhibiting relics from the history of gastronomy and catering, the museum regularly hosts concerts, children programs, theatrical performances and a range of other cultural events within its Kultea program. In Kiskorona utca you’ll find ruins of a medieval convent and the Óbudai Társaskör (Kiskorona utca 7.) 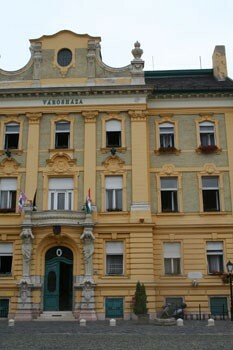 the centre of Óbuda’s cultural life also operates in this street. The association organises many art events and exhibitions the most popular being the Summer in Óbuda series of programs between June-September. Classical music and jazz concerts, theatre performances provide for entertainment on warm summer evenings. TIP: see other Cultural Venues in Budapest. 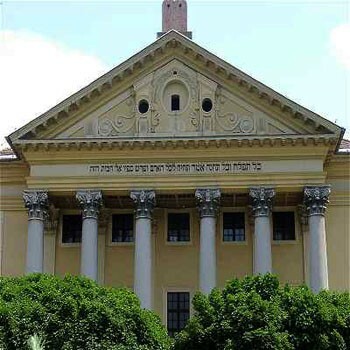 The Classicist style former synagogue stands opposite the Budapest Gallery in Lajos utca. Today a tv studio operates in the building. Read more about Jewish Budapest. Where to Eat in Óbuda? Welcoming taverns are abound in Óbuda offering tasty food and quaint atmosphere. In the Kéhli Restaurant or in the Kisbudagyönyge you can sample Hungarian dishes. In Új Sípos Fish Restaurant you can eat traditional Hungarian Fisherman’s Soup. See more Recommended Restaurants in Óbuda.